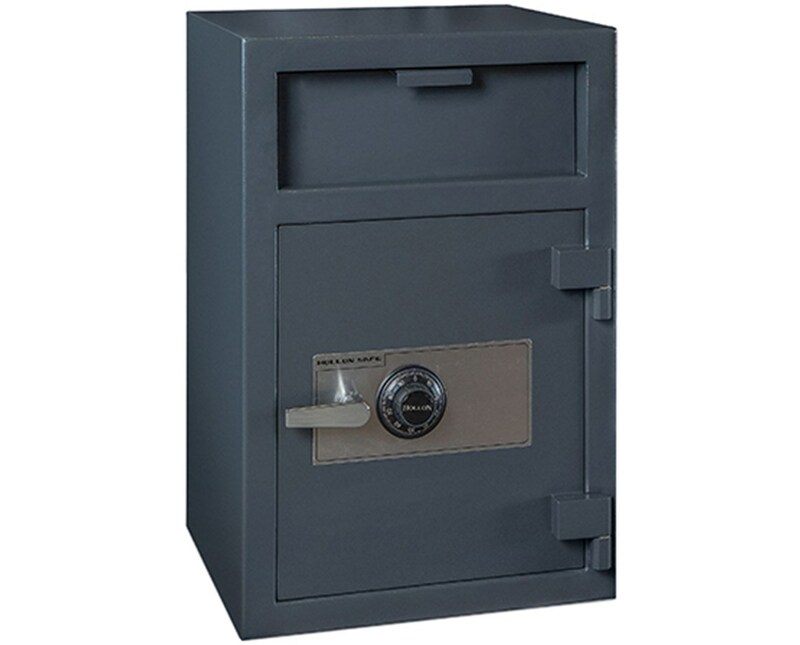 The Hollon 30 x 20 Depository Safe with Inner Locking Compartment Drawer is a B-rated front loading deposit safe with a capacity of 0.84 cu ft perfect for any use. 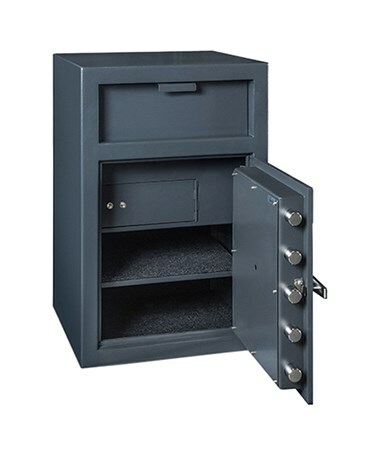 An inner locking compartment and an internal shelf help organized the contents of this safe. Its security features include and anti-fish baffle prevents theft through the deposit door, an internal spring-loaded relocking device, and a heavy-duty dead bar that prevents the door from being removed. 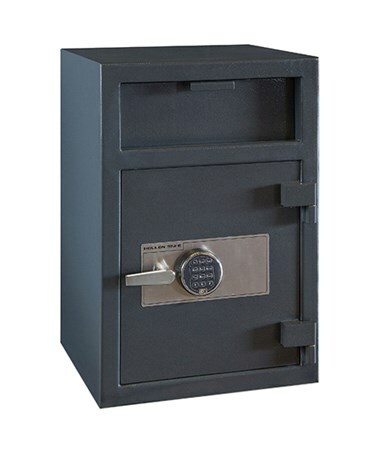 This depository safe comes in a UL Listed Group 2 combination dial lock, Type 1 S&G Spartan Electronic lock, Biometric lock, or SecuRam Prologic L22 electronic lock. The lock and the internal re-locker are protected by a drill or ballistic resistant hard plate. The door uses five 1 ¼-inch solid steel active locking bolts for maximum security. 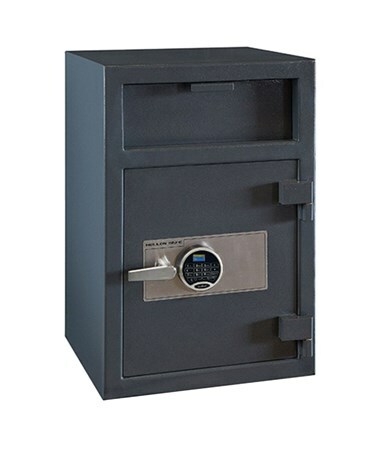 This 30-inch height by 20-inch width safe is made of steel with a ½-inch thick steel door and ¼-inch steel body and powder coat finish. 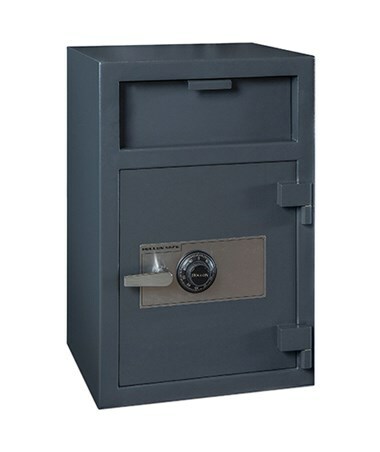 The Hollon 30 x 20 Depository Safe with Inner Locking Compartment Drawer is available in different types of UL listed lock. Please select your preference from the drop-down menu above.